Hey Y’all! It’s that time of year again. Big Brother Canada is starting in less than a week. 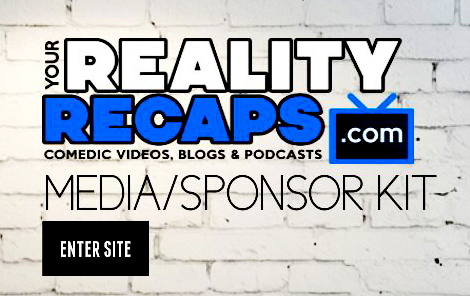 We are super excited to let you now what you can expect to see from us here at Your Reality Recaps this season. We are covering the show for a second season and what we have in store for you will blow your mind! Before we get into all that we are live streaming the cast reveal Monday, Tuesday and Wednesday at 7:30 Tune into the LIVE SHOW page. As soon as ET Canada begins the reveal we will be going live! First off we are happy to announce that we will be live streaming you every episode on our LIVE SHOW page. ** You MUST be subscribed to our YouTube channel to watch this so scoot on over there and subscribe NOW! Every Sunday and Monday at 8pm EST and Wednesday at 9pm EST you can watch the episode live with us and chat about it in the chat room below. We can’t wait to see you there! Lastly, and MOST IMPORTANTLY we are going to be at this years Finale AGAIN! This year not only will be there watching but we will be live streaming you backyard interviews with Dana and Jon, and giving you a behind the scenes look at the house. We are the only American site offered all this exclusive content. Of course all this amazing coverage of Big Brother Canada doesn’t come cheap. Of course we are bringing it to you, as always, for free BUT if you have any extra dollars to spare please consider donating to our Patreon account. All the money we earn goes directly into providing you the best coverage of all your favorite reality shows. We know you aren’t just into Big Brother and Your Reality Recaps is offering so much more as well! As always Melissa is covering Survivor: Worlds Apart and Hanne is blogging The Amazing Race. For the first time we are covering Hell’s Kitchen with Vince and he’s doing double duty blogging RuPaul’s Drag Race as well. Don’t forget about Bravo, we have full coverage of all your favorite Housewives shows on our Bravo page with written blogs and Audio blogs where Jon and I read you the cast blogs ever week. Big Brother Canada 4 Casting Calls! 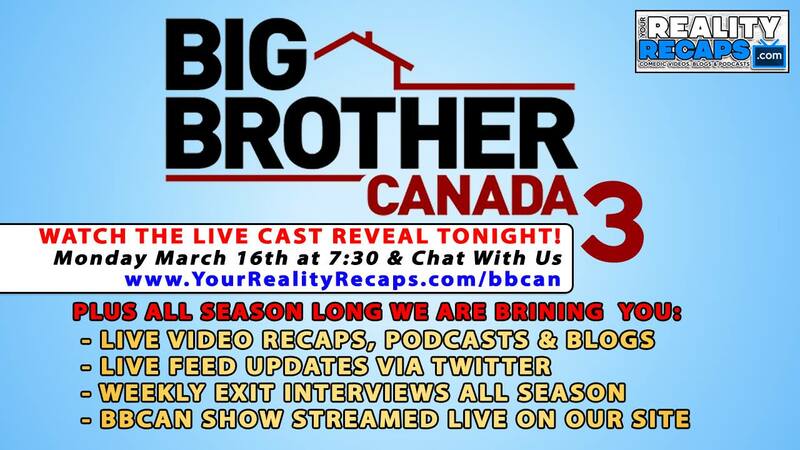 Big Brother Canada 3- The Finale!